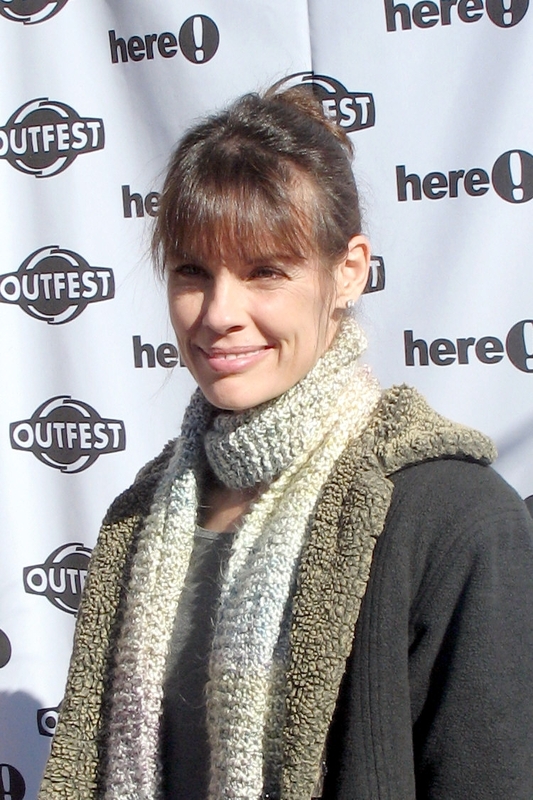 Alexandra Paul is a famous Actress from USA, she is 55 years old and still alive, born July 29, 1963. Alexandra Paul began her career as a model. Soon, however, decided to continue their studies at Stanford University, majoring in acting. Her first major film performance was the role opposite Daryl Hannah in a very warm welcome television production Paper Dolls (1982), but its real debut was a small role in the Passage (1979) - but here her name was not even mentioned in the cast. She starred in many later films, television, such as the Journal of Sergeant Friday, Christine, Perry Mason, Night Watch, and Spy Hard, but is best known as Mrs. Lieutenant Stephanie Holden in Baywatch TV series. Alexandra has also qualified as an emergency doctor. He has a twin sister, Caroline, whose book, Fighting Fire was nominated for a Pulitzer Prize. She is born under the zodiac leo, who is known for Ruling, Warmth, Generosity, Faithful, Initiative. Our collection contains 28 quotes who is written / told by Alexandra, under the main topics: Car, Environmental. "If the whole world went vegan, there would be less war. How you eat determines your mood and your outlook on life"
"I really believe in non-violence, but I also believe in a short of resistance that has to be respectful"
"Meat is an inefficient way to eat. An acre of land can yield 20,000 pounds of potatoes, but that same acre would only graze enough cows to get 165 pounds of meat"
"I don't wear leather, wool, or silk"
"I don't always buy organic food. It is more expensive"
"The human overpopulation issue is the topic I see as the most vital to solve if our children and grandchildren are to have a good quality of life"
"For me, going vegan was an ethical and environmental decision. I'm doing the right thing by the animals"
"I loved doing Baywatch. It was so much fun!" "There is a reason it is called fossil fuel-it is an outdated method of getting power"
"The only way people are going to change their car buying habits, and the only way government will get behind alternatively fueled vehicles, is if gasoline prices continue to go up"
"I've always preferred food be on the blander side"
"I'm trying to practice owning less stuff"
"I really haven't been cognitive of gas prices. It wasn't until I filled up my husband's Toyota Prius Hybrid that I had a moment of understanding of how people who drive gas cars feel"
"Electric cars aren't pollution-free; they have to get their energy from somewhere"
"I had never been able to get a car that said how much I cared about the environment until I drove electric"
"Women have this obsession with shoes"
"Power, as in the power structure, is why we are still using gas in cars"
"I'm not particularly impressed with going 50 miles per gallon. That doesn't impress me when we can go to the moon"
"The big companies and their short-term bottom line rule this country"
"I'm very out of style... or I should say I have my own style"
"I'm very much a lead by example person"
"I know I'm an actor, but I'm not at all a believer in people watching a lot of TV. I've never had television in my home"
"I don't think I miss anything by not watching television"
"Unless everyone grasps the importance of having only two children per couple, wars won't be over just oil anymore, they will be over water and food"